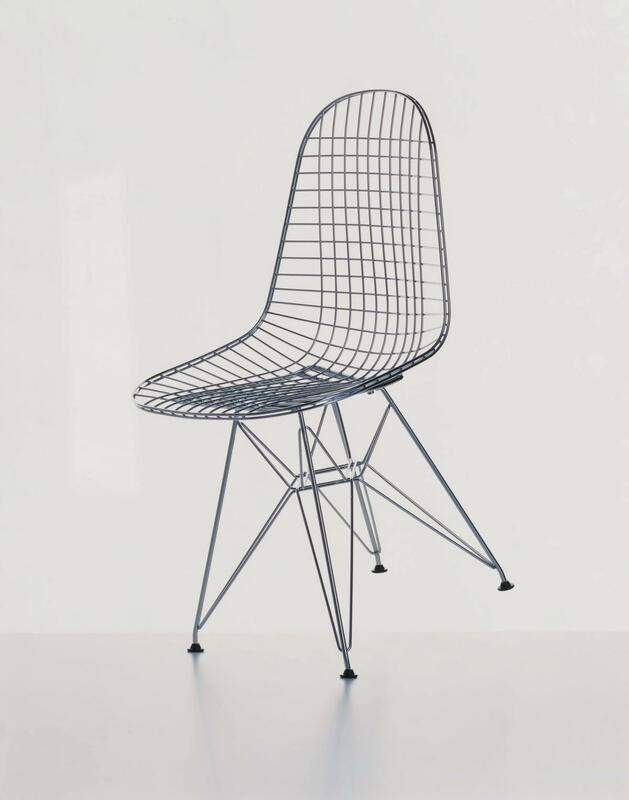 Although the DKR Wire Chair from Vitra is often attributed solely to the designer couple Charles & Ray Eames, their friend Harry Bertoia, designer of the famous Diamond Chairs, had an influence on the work - for all through his knowledge and understanding of the rudiments of metal processing. 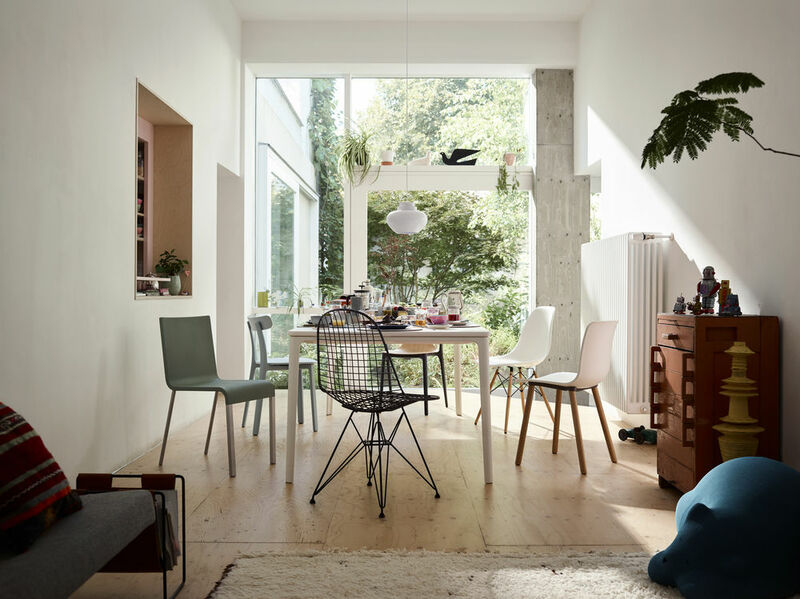 Now available in a new height the Eames Wire Chair is an unquestionable style icon that as with many of the Eames Plastic Chairs makes use of the famous Eames Eiffel Tower base. Bases of the original (lower) height are still available as spare parts on request. With the Vitra DKR Wire Chair Charles and Ray Eames developed a formal adaptation of their legendary plastic chairs; however, instead of fibreglass the Eames realised a one-piece seat shell crafted from welded steel wire. 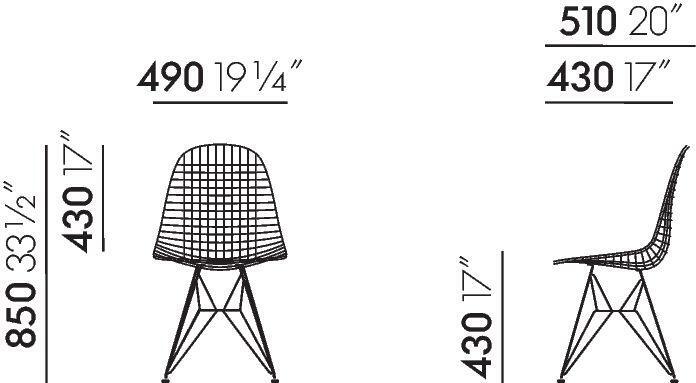 The striking feature of the Eames Wire Chair DKR is therefore, in addition to the organic shape of the seat shell, the symbiosis between seat and frame: the so-called Eiffel Tower base existing in formal and optical harmony with the seat shell. 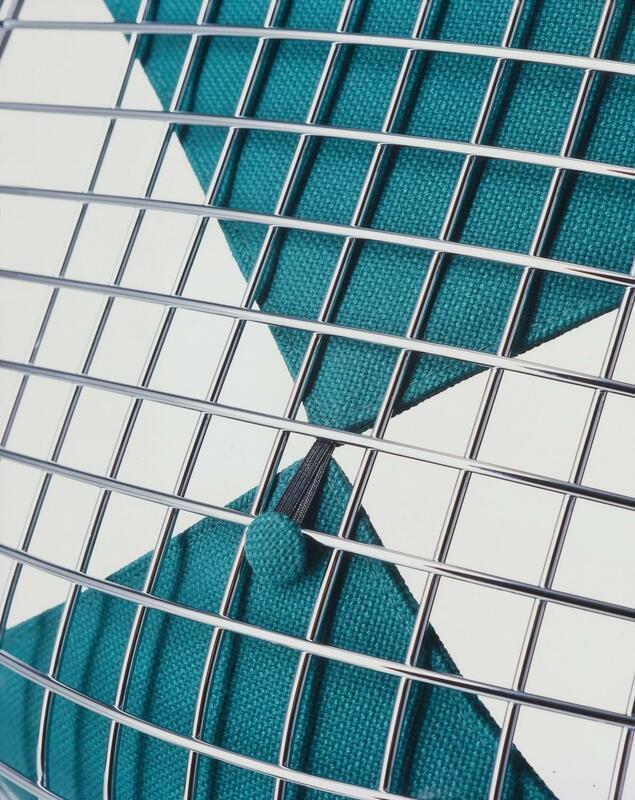 In addition, and as with the Eames plastic chair family the Eames wire chair shell can also be combined with other bases if required. 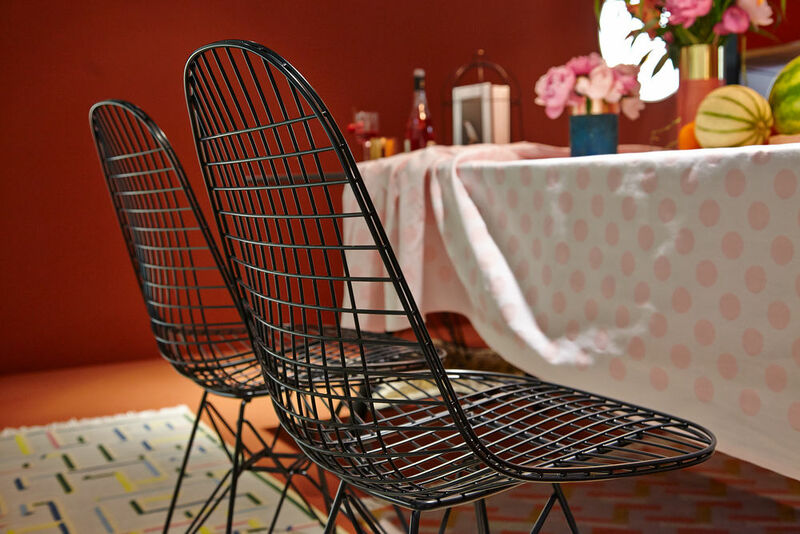 Vitra has produced the Eames Wire Chair, since the 1950s. 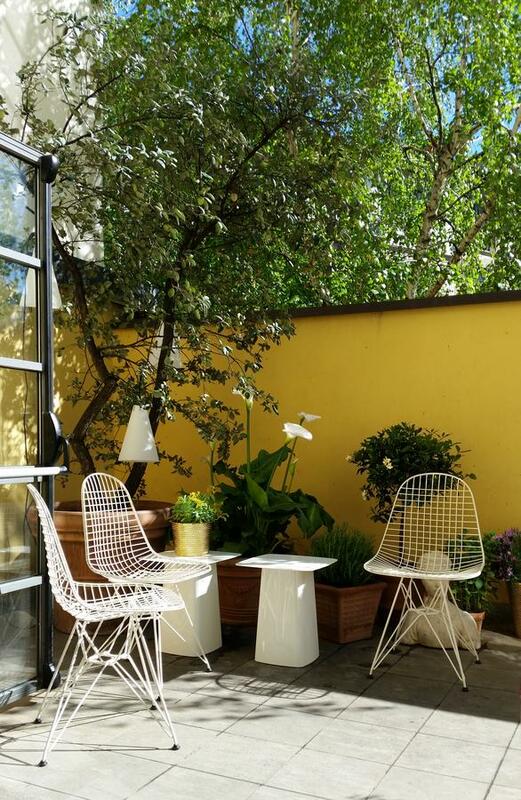 In 2013/14 Vitra released a version in a black powder coat finish, the DKR Outdoor, which is also suitable for outdoor use, and launched the DKW, the seat shell from steel wire combined with the well-known base from the Eames DSW. Ray and Charles Eames are among the key players in the history of the twentieth century design and to this day their designs have lost none of their relevance. Ray Kaiser and Charles Eames met in 1940 at the Cranbrook Academy in context of preparations for the "Organic Furniture in Home Furnishings" competition, and married a year later. In 1943 the established the Eames Studio in Venice, California from where the following decades would see them develop not only the legendary Eames furniture designs, but also textile designs, films, toys and architectural designs. 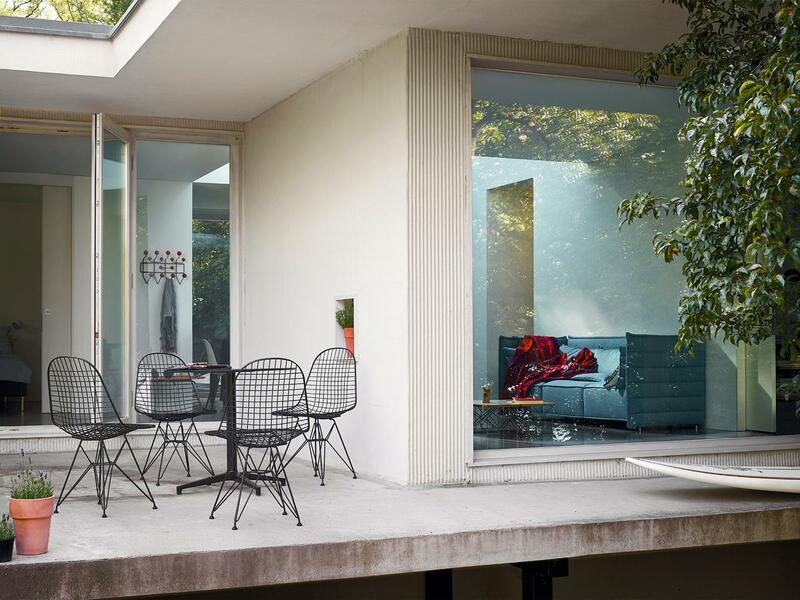 The Vitra Wire Chair was launched in 1951, shortly after the Plastic Chairs. 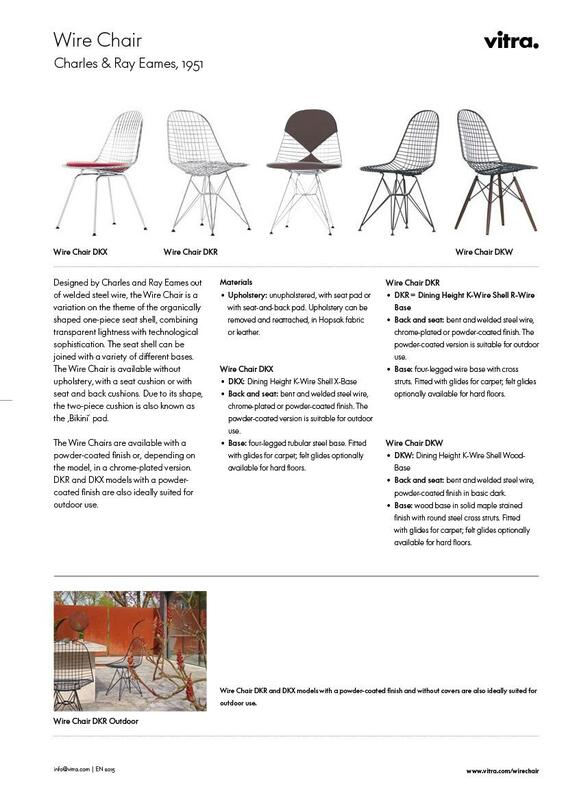 Until the death of Charles Eames and the subsequent closure of the Eames Studios in 1978 many other designs were added to the Eames portfolio, design which today are among the design icons of the 20th century - including, for example, the Eames Lounge Chair and the Aluminium Chair Collection. Vitra's history is closely linked with the designers Charles and Ray Eames. 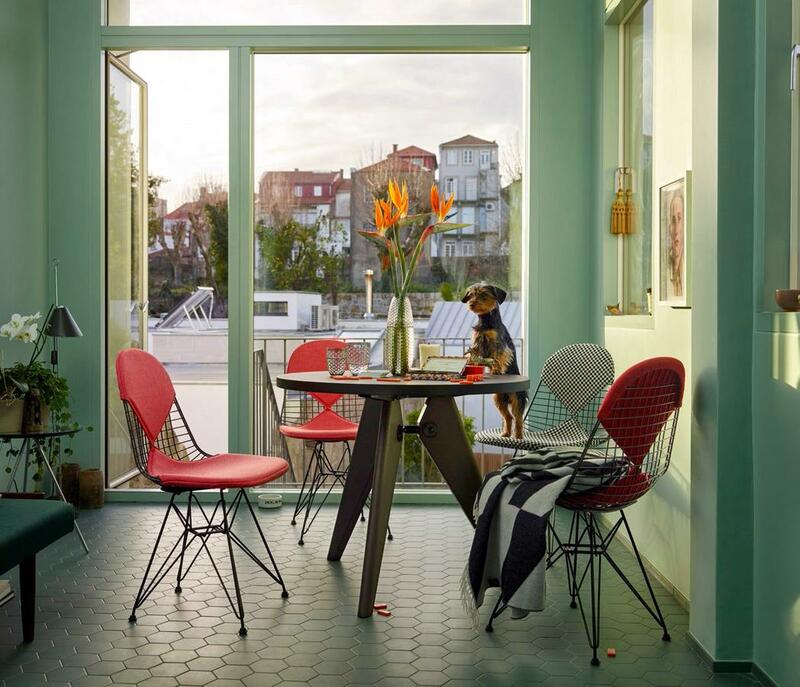 In 1953, the company founders Willi and Erika Fehlbaum discovered Eames chairs in a New York store window, whereupon they secured the European production licenses from the pair's American manufacturer Herman Miller: thus making Vitra the only licensed manufacturer of Eames' furniture designs in Europe and Asia. But also on a a personal level were the Fehlbaums in close contact with Charles and Ray Eames, so much so that upon the death of Ray Eames in 1988 the Eames archive was passed to Vitra - and not at Herman Miller. 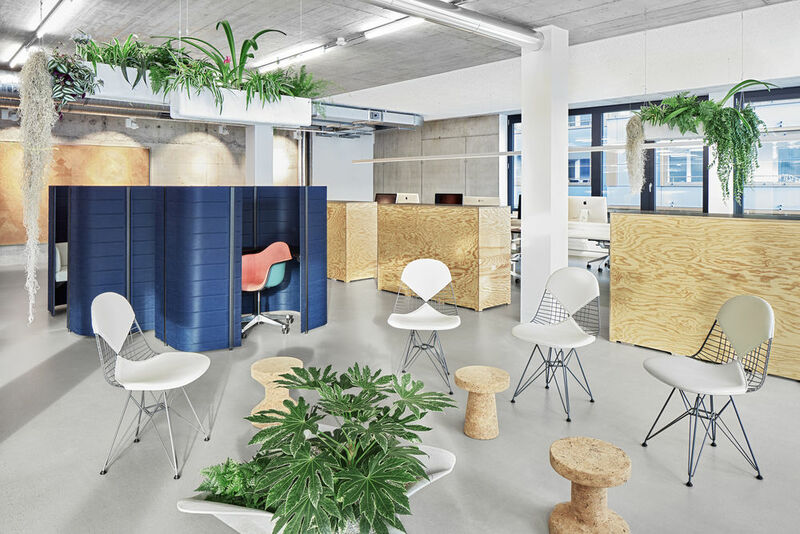 In addition to the Eames classics, Vitra also produces contemporary designer chairs and tables. In addition, with the Vitra Campus and its impressive collection of buildings by leading contemporary architects Vitra have the perfect location for presenting design and architecture exhibitions. 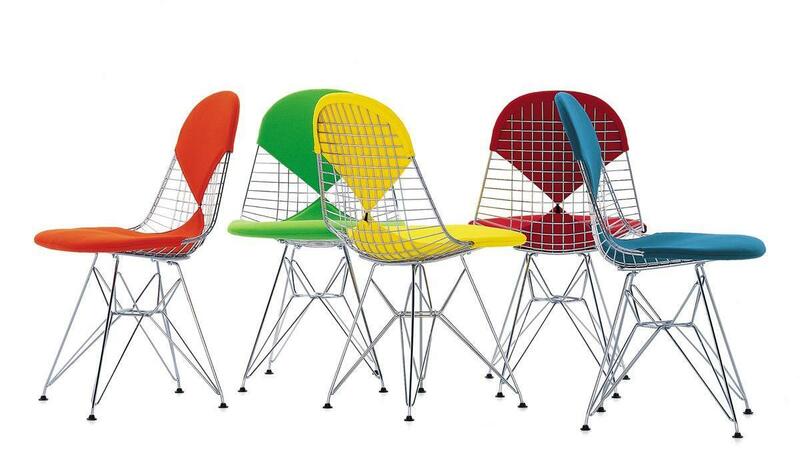 Designed in 1951 the Eames DKR Wire Chair was originally produced by the American furniture manufacturer Herman Miller. After Erika and Willi Fehlbaum had acquired licenses for Eames furniture the production for Europe through Vitra could begin in the 1950s. 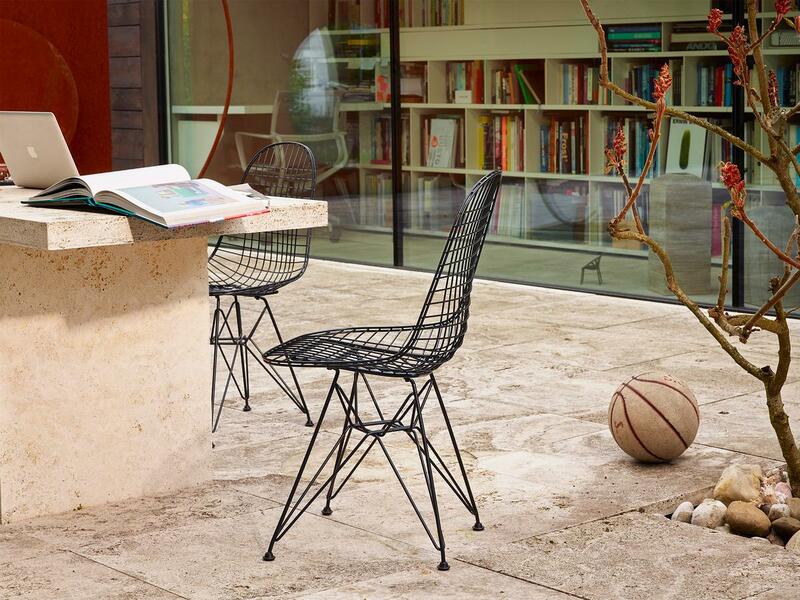 The Vitra Wire Chair DKR consists of a seat shell made of bent and welded steel wire and a four-legged, steel wire base. The seat shell is optionally available without upholstery, or with a seat cushion or seat and backrest cushions Hopsak or leather. Because of the two-tier arrangement of triangular cushion the chair went down in history under the name of Vitra Wire Chair Bikini. Like all Vitra furniture the DKR Wire Chair is produced from high quality materials and in context of strict production controls . 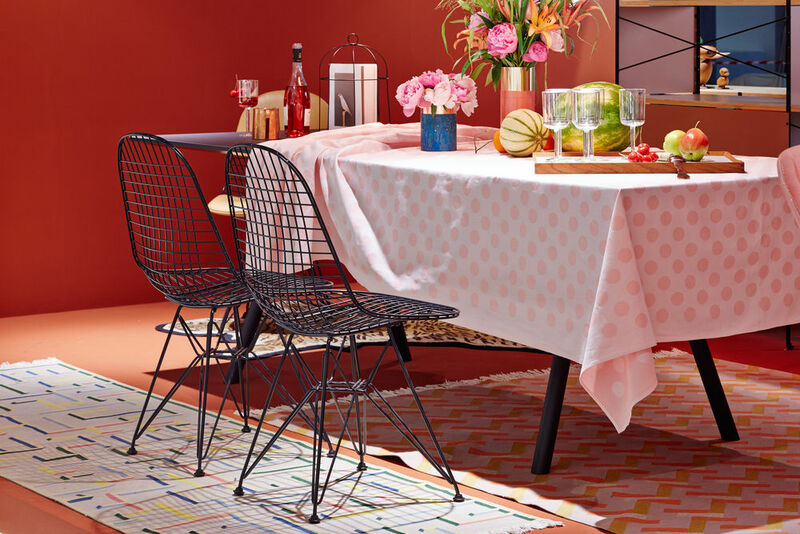 Thus, the Eames DKR is distinguished not only by its perfectly formed designs, but also because of its durability and timelessness; a combination which makes the Eames DKR Wire Chair an object that can, and will, be enjoyed and admired for generations to come. 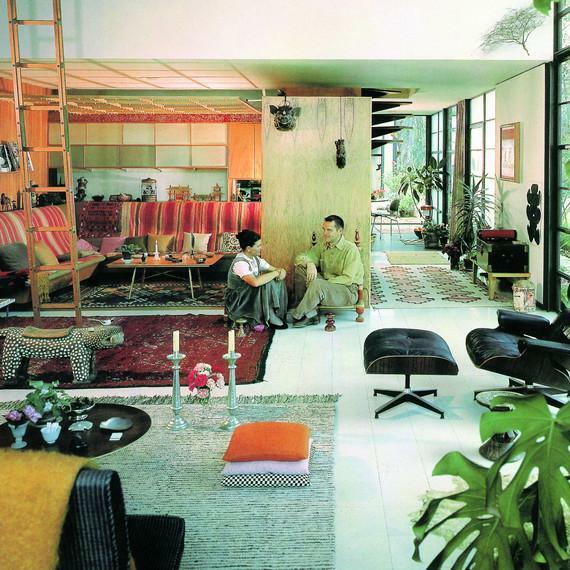 The furniture designs the Eames's are rooted in the functionalism of American modernism of the postwar period. Charles and Ray Eames developed a clear, functional designs, such as the Plastic Chairs that precisely matched to the needs the people of their time, and often experimented with advanced production methods and new materials. With its unmistakable character the Eames Wire Chair DKR is not just aesthetically charming, but reminds us of the emergence in the 1950s of popular culture: a movement which in terms of furniture design brought decorative elements back to the forefront With its cool, shiny steel wire and "lascivious" bikini shaped padding the Vitra Wire Chair Bikini represents more than most other furniture objects the decadent pop culture of 1950s America.